A new treatment facility aimed at tapering inmates off of addictive drugs and helping them stay away from dangerous substances in the future is opening at the Monroe County Jail in downtown Rochester. Medication-assisted treatment is a two-part therapy. It starts with using specific drugs to taper people off highly addictive substances and manage withdrawal. Then, counseling and mental health support services help people stay away from drug use after the initial medical treatment. 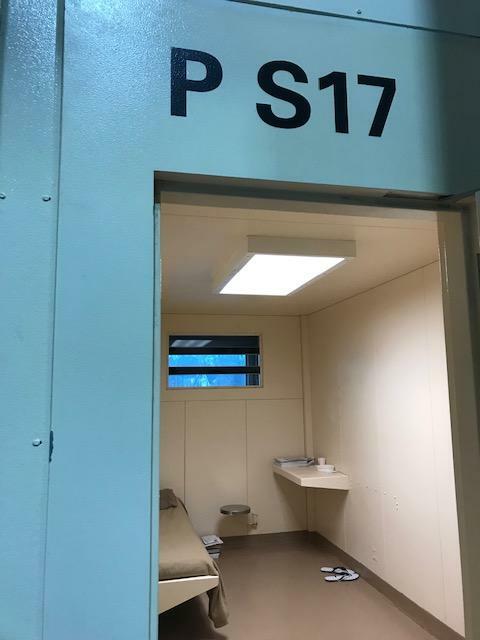 In Monroe County’s program, inmates will have their first counseling sessions in jail and then schedule ongoing appointments for the weeks and months after their release. Smith said statistics show the need for a new approach to drug treatment in jail. She estimated that between 85 and 90 percent of people entering Monroe County correctional facilities have some sort of substance use disorder, and “research has shown that people that get out of corrections are at about 150 percent higher risk for overdose deaths” than the rest of the population. The new program is voluntary, said Smith. Inmates need to be screened when they arrive at the jail and comply with the medication requirements once they’re in the program. The county already runs a chemical dependency treatment program at its correctional facility in Henrietta. This is set to be the first such program at the downtown jail. Jail officials have long wanted to start a treatment unit, said jail bureau Captain Dale Erne, who’s worked for the county for 25 years. They found a supporter in Sheriff Todd Baxter, who helped pursue a $262,500 grant from the University of Baltimore that’s funding the first year of the program, Erne and Smith said. The Monroe County Heroin Task Force is releasing its latest month of data on opioid overdoses. This marks the first time the county has had a full year of those numbers. WXXI’s Brett Dahlberg reports on what officials say they’ve learned. The Monroe County Heroin Task Force has released its latest month of data on opioid overdoses, marking the first time the county has had a full year of those statistics.